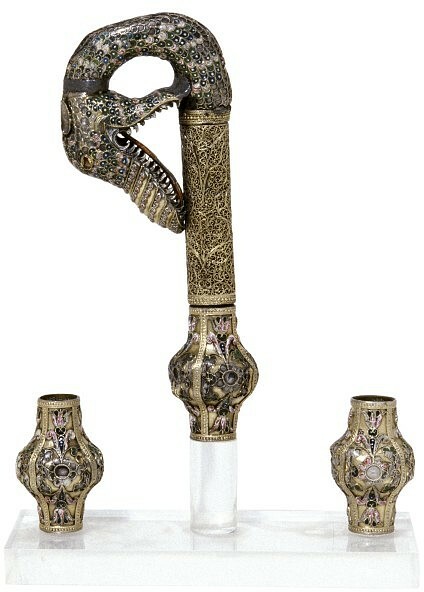 Here is a selection of some beautiful old religious Armenian pastoral staffs that I found on the internet. Armenian pastoral staff (1700-1825). 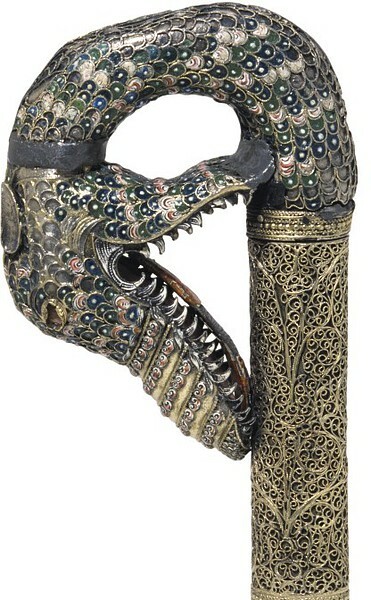 Portions of a priest’s staff, silver gilt, comprising the head and three knops; the volute is in the form of a serpent’s neck and head, covered with scales, which are formed by small ‘cloisons’, filled with coloured enamels; the jaws are wide open, showing rows of teeth and a long tongue. 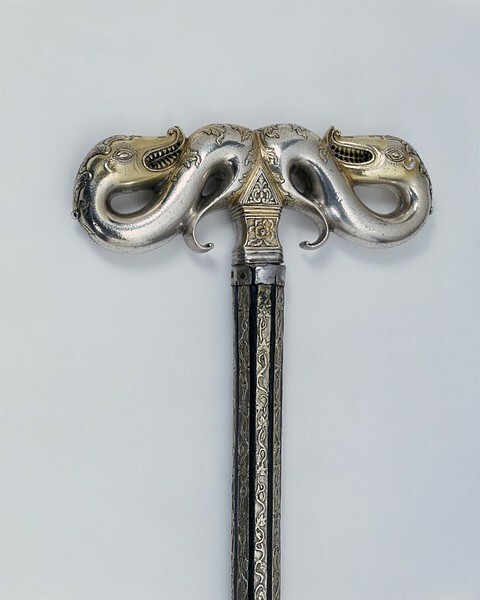 The lower part of the head of the staff is of filigree work, and the three knops are each divided into four compartments, decorated with synmetrically arranged floral ornament, formed in the same manner as the scales. An Armenian bishop or priest who holds the degree of doctor of theology carries a pastoral staff. It is formed with either a single or double serpent to signify the wisdom of the office. 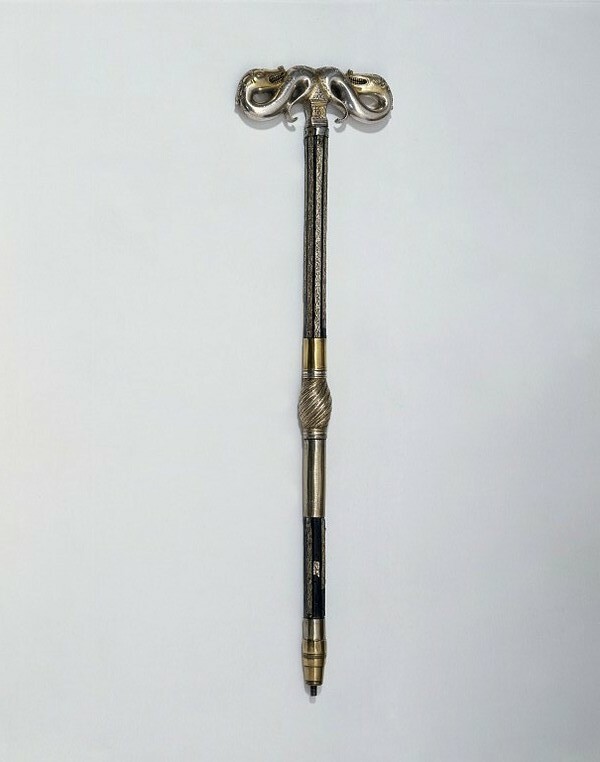 A full-length staff would be approximately 1.5 metres long and end with a tau cross, like the letter T.
Armenian pastoral staff (1600-1850) Pastoral staff of ebony with tau-head and mounts of silver parcel-gilt. Eight sided, decorated with strips of silver chased with a vine pattern, parcel gilt, and divided into sections by four oval knops, spirally fluted and chased with leaves. 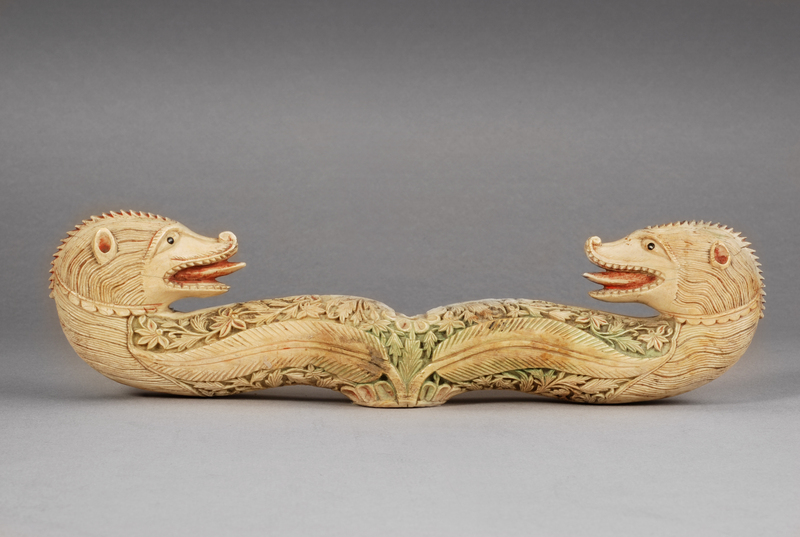 The tau head is formed of two scrolls with dragon/snake heads chased with foliated ornament. At the bottom of the shaft is a baluster shaped foot. 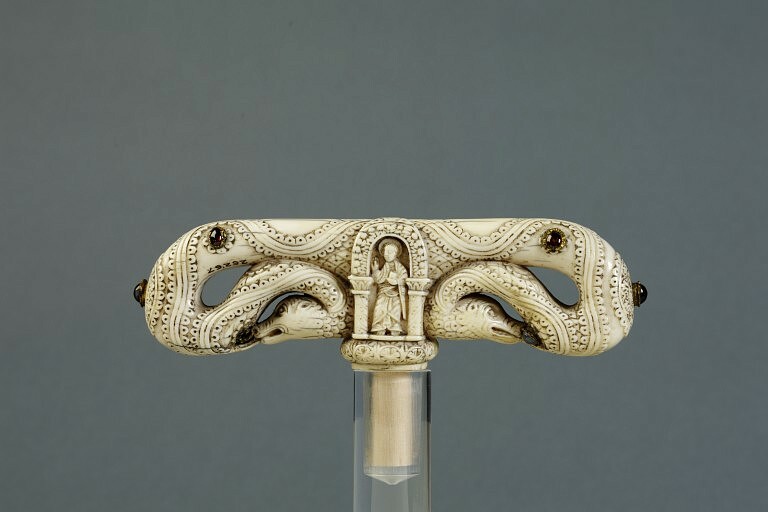 Armenian pastoral staff (17th century) This Tau Head of ivory is by an unknown artist from Armenia executed in the 17th century. 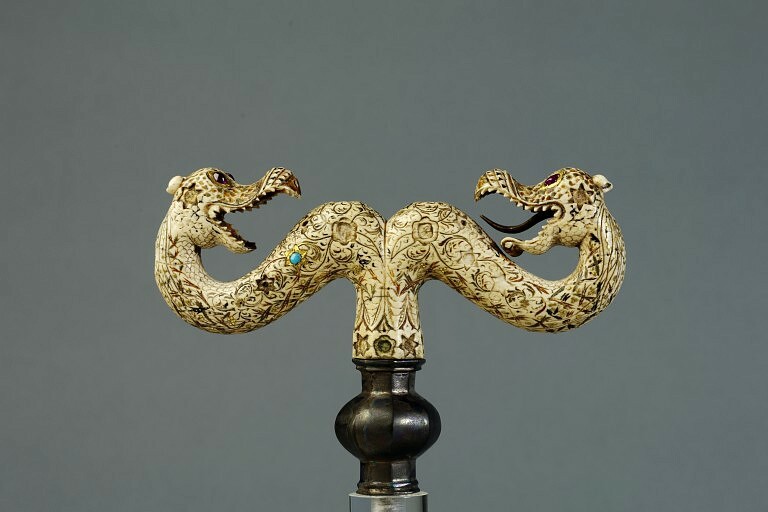 It shows two dragon’s heads, the eyes formed by cabochon rubies in gold settings. The floral scrolls engraved on the shaft and prominent portions of the arms have been inlaid partly with gold, partly with black composition.